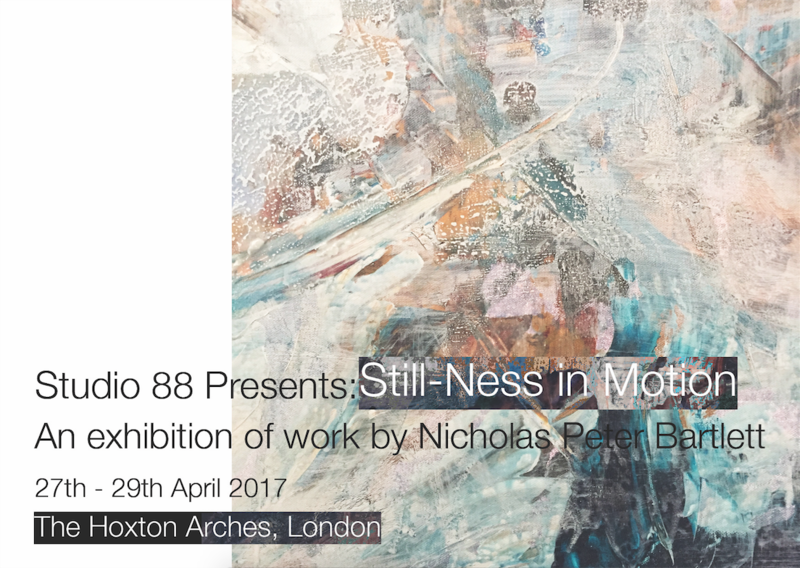 Still-ness in Motion, the latest series of work by Nicholas Peter Bartlett, presents us with the concept of stopping any moment of time and observing the diversiform of paths created in choice. In his work, Nicholas propositions a different understanding of our reality; investigating the individual moments we string together to create our environments. Each piece in the collection captures a paused fragment of time which exposes the infinite possibilities ahead. Creating the work in his new East London atelier, Studio 88, this curation is a neoteric addition to the Studio 88 catalogue. A somewhat heterogeneous collection of work, brings together paintings, photography and the centrepiece sculpture, Balancing Stones. The mixed media kinetic sculpture is the pinnacle of this conceptual body of work, produced by master craftsmen from Cape Town to London, exhibited in a space disparate to any other.